« Finding Blogfinger. What the Heck Avenue is an email blast? December 3, 2015. Central Ave. at Main Avenue, Ocean Grove. By Jay Cortese. Hey…It’s Mickey. Jay Cortese photo. We received a note today from a distinguished Ocean Grove art critic, musician and designer—- Jay Cortese. 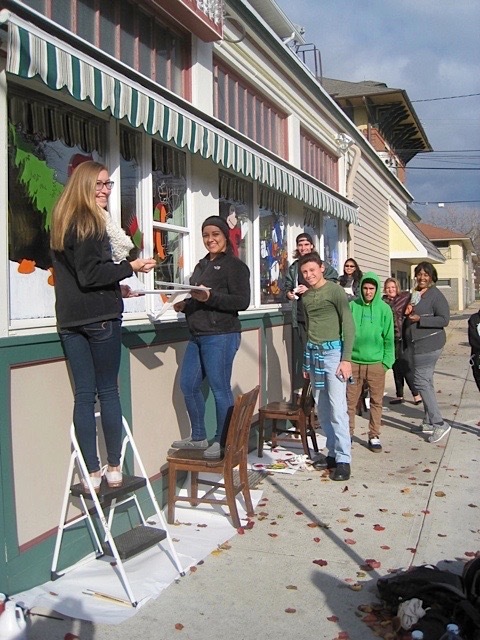 Jay said that he was walking to the hardware store along Main Avenue when he saw this group of Neptune High School artists painting Nagle’s windows. 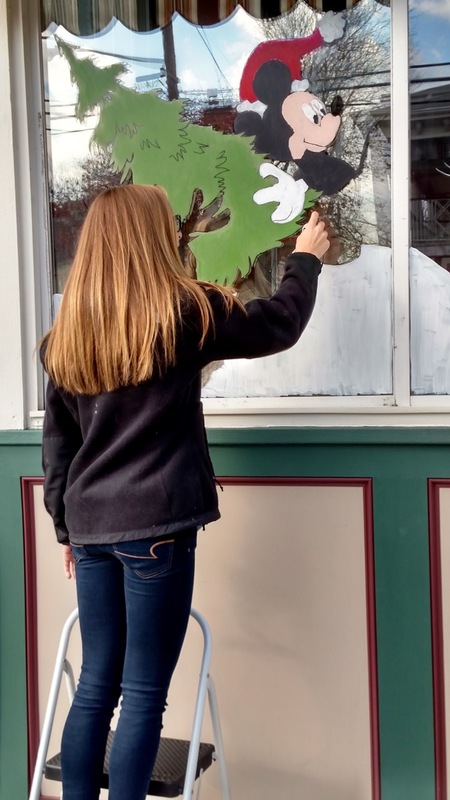 I hope Jay found the hardware store since he is heading the wrong way, but Jay got excited to see these 8 Scarlet Flyers creating window art downtown. This is a marvelous sight. It takes me all the way back to Park Avenue in Rutherford where every December a small army of art students from RHS would paint the town red, indigo, yellow, green and blue. Do you think Van Gogh painted windows in Paris when he got sick of sunflowers? If any of you Neptuners contact us (Blogfinger @verizon.net) with the names of these young artists, we will post them. Who knows, maybe there is a budding Modigliani among them; one of his paintings sold recently for $170 million. This song has nothing to do with art, but it is fun. From the movie Ratatouille.